The Drones have invaded! 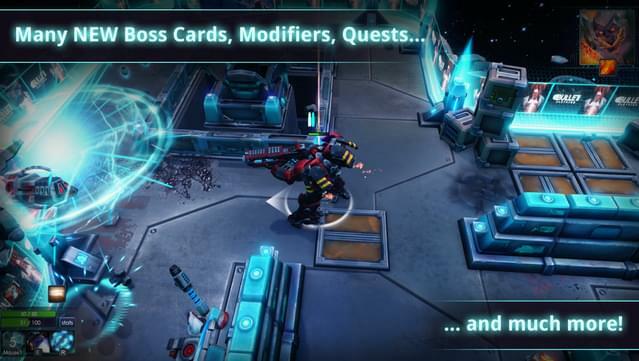 Expand the game with a new Campaign, Boss, World - tons of new Enemies, Cards, Modifiers, Quests and much more! 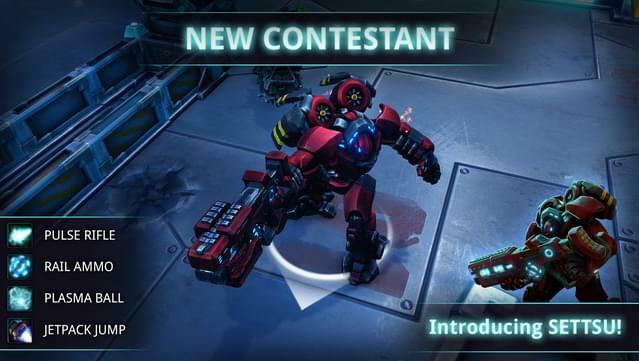 Play as the brand new mech contestant Settsu and explore The Mentor's Maze featuring the mysterious R3-KT. 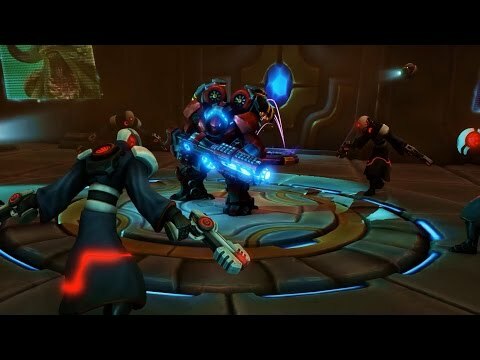 Forced Showdown is a challenging bullet hell brawler! Each character is a unique experience: Choose a deck of unlockable cards to boost you in new ways every battle - "My whirlwind shoots fireballs!?". Battle hordes of brutal foes to become a superstar in C-SAR’s ever-changing game show. Settsu is badass champion in a powerful mech suit. The pulse-action assault rifle has a 6-round magazine that charges up to a final rail beam. The rifle is also fitted with a plasma ball launcher that requires cooling. Shooting pulse ammunition into the plasma ball will result in a big explosion - a useful combination in the field. The suit is equipped with a jet pack that has limited flight capabilities. The landing impact can be used to destroy objects (or enemies) in a close proximity. The Drones are invading all the shows. Their high tech arenas and weaponry will make sure that the shows will be an entertaining hell of bullets. 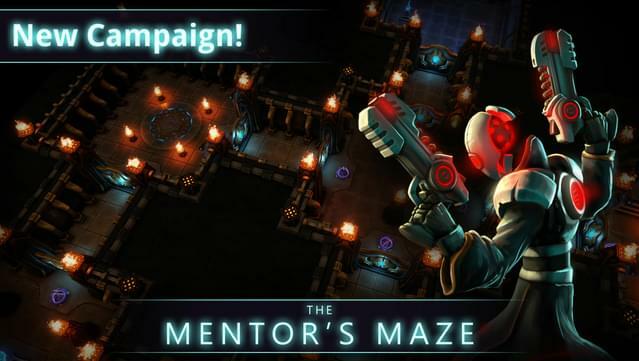 Explore The Mentor's Maze and find hidden treasure, bonus points and portals. Try and reach the mysterious mentor R3-KT. Lives are on the line and modifiers are hidden, so be prepared when you try to become the superstar of the maze. 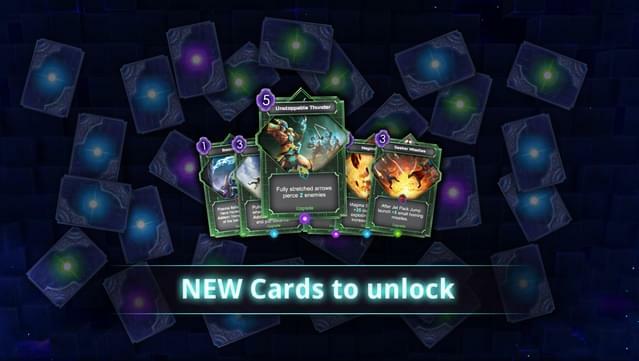 Dismantle cards will burn another card for a powerful effect, that is then multiplied by the dismantled card's cost. Clever deck-building and strategic planning will greatly increase the value of Dismantle. Over 20 new cards added for you to collect and add to your decks. 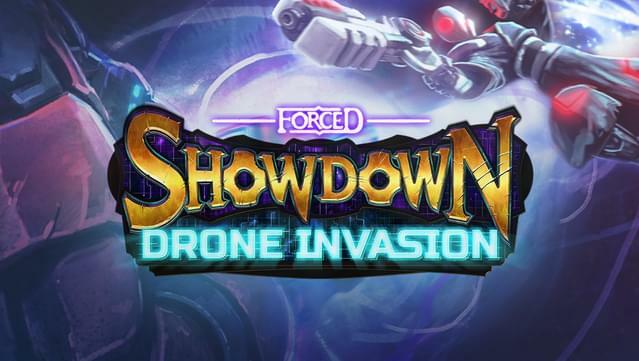 Get ready to cast cards that use drone technology and upgrade the champions in new and spectacular ways. Playable Contestant Settsu is a former soldier joining the roster in a powerful mech suit. The suit is equipped with a Jetpack and a Pulse Rifle that uses a new ammo mechanic. 22 Cards added. Including cards with the new keyword Dismantle. 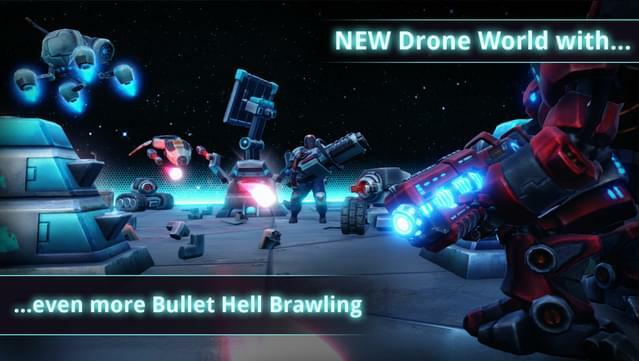 A whole new Drone world is added. Time to go to space! The Mentor's Maze Show is a brand new way to play Forced Showdown. R3-KT is a new Boss that can be found in the maze. A fight that will challenge even the most skilled contestants. 10 Drone enemies each with unique attacks and abilities. 10 Boss Cards added. The titans of the show have grown a little... weirder. 10 Modifiers will spice things up and give you new tricks and treats. 18 Quests to complete in the Mentor's Maze.